Rating: 4.5/5 - Writing down the title so I can recommend it to everyone. When Thomas wakes up in the lift, the only thing he can remember is his first name. He has no recollection of his parents, his home, or how he got where he is. His memory is empty. But he’s not alone. When the lift’s doors open, Thomas finds himself surrounded by kids who welcome him to the Glade, a large expanse enclosed by stone walls. Just like Thomas, the Gladers don’t know why or how they got to the Glade. All they know is that every morning, for as long as anyone can remember, the stone doors to the maze that surrounds them have opened. Every night, for just as long, they’ve closed tight. Every thirty days a new boy is delivered in the lift. And no one wants to be stuck in the Maze after dark. The Gladers were expecting Thomas’ arrival. But the next day, a girl is sent up — the first girl ever to arrive in the Glade. And more surprising yet is the message she delivers. The Gladers have always been convinced that if they can solve the maze that surrounds the Glade, they might find their way home... wherever that may be. But it’s looking more and more as if the Maze is unsolvable. And something about the girl’s arrival is starting to make Thomas feel different. Something is telling him that he just might have some answers — if he can only find a way to retrieve the dark secrets locked within his own mind. 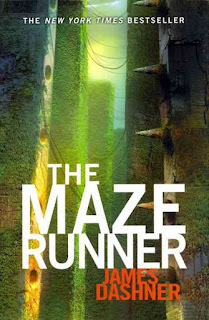 James Dashner has given The Maze Runner a thorough progression of terror. 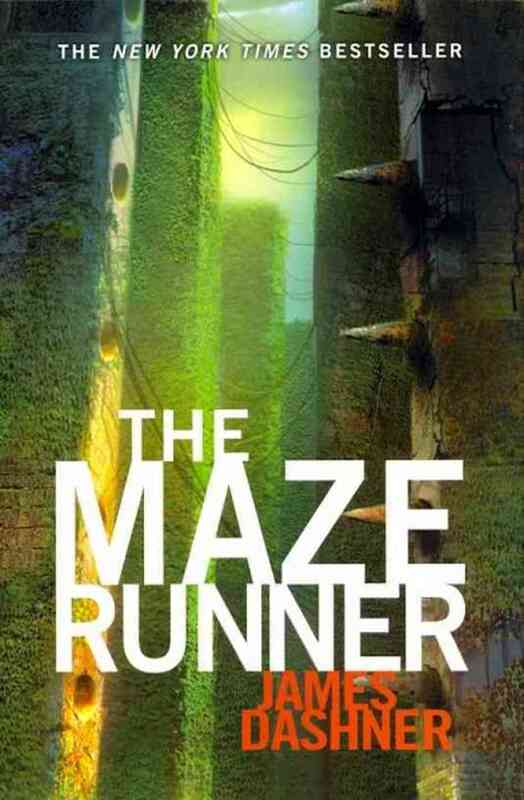 Thomas is tossed into an unknown world, and as the details become clear — that this group of boys has been conscripted for a dark, unknown purpose, set to endlessly run the trails of the Maze, futilely seeking exit and risking their lives — it’s all thrown into upheaval. The established (and very creepy) known is slowly chipped away, leaving the characters with an even more terrifying certain doom. Seriously, get ready for your heart to race. It is this excellent pacing that creates a very quick read. It’s the kind of book that if it’s handed to a twelve-year-old who’s disinterested in books, you’ll have changed them into a reader for life. Yep. This story is that gripping, and will be introducing teens to the love of reading for a long time. Now, I do have a couple of hairs to split, but I also recognize the possible reasons behind them, as well. For one thing, I found there to be too many characters who were not fully fleshed out — problematic in a microcosmic world where the entire group has amnesia, yes. Personality traits are pulled forward, and as a group of teen boys, it felt less like characters at times and more like, well, a gang of teen boys, with only their names to distinguish each from the next. Tertiary characters came off as empty markers; as if there were too many speaking parts required for a particular scene, and how said roles were distributed didn’t ultimately matter, as long as Thomas was still Thomas, with Thomas’ views. Of course, there needed to be a variety of characters to fill out the Gladers, as well as the internal government that the boys create. The entire story takes place within a world where we know at least two things: a bunch of boys have been dumped into the Glade, and they all have amnesia. Not everyone can be the protagonist, either, so until the girl comes along, it’s a lot of single-demographic interaction. I suppose my problem is that in outlying conversations, it occasionally felt as if three boys’ opinions were too similar and one character could have been cut, his lines then distributed between two others in the scene. For my second hair to split, my anti-spoiler flare has gone up (I’ll attempt to be indistinct about details as I illustrate my point, I swear). There is a connection between Thomas and the girl that is not properly justified for me. I'm hoping this doesn't follow the soft Sci-Fi trend of "because the author said so" — the disturbing tendency I've noticed for soft Sci-Fi to flout realism by lacking explanation for certain key elements. I want to know more about why they are connected — for what purpose? What function? And how? — because it seemed a tad superfluous here. And granted, these amnesiac characters are hardly the best candidates to answer any of these questions. I also think it's a safe bet that this connection will be explored more in the future books of the trilogy. Yes. It’s a trilogy, and as creeped out as I may be, I’m anxious to read the next book. A terrifying imagination you have, Mr Dashner. I tip my hat to you, and your talent. Looking forward to burning through The Scorch Trials — as soon as I read a couple of happy books. Something full of love and bubbles, where unicorns shoot bliss-inducing rainbows from their ears. Or something.